After yesterday’s embarrassment of riches when it comes to posts, I wish I had more to offer. The truth is, I’ve been working more on my visual art recently than my writing. I’m horribly blocked. I know why, and I think I know what to do about it. I just haven’t been able to get words on paper. Photos, and paint on skin, and the ever-ephemeral art of folding air… those occupied my brain much more this summer. It’s not a bad thing – I’m a professional artist, after all, but they aren’t the same as words. Which isn’t to say that they can’t be inspiring. I hit DeviantArt at least once a day (and usually more) and I choose to browse through the Undiscovered category when I do. This is a sort of curated area where you see art that isn’t the unfiltered flow of random submissions (everything from crayon scribbles to the divine digital works) and there can be some real gems here. I’m not, as a rule, looking for coverart. I manage my images in other ways, and prefer to tweak them to be original before I use them, for myself or clients. What I am looking for are pieces that make my mind whir into motion, into making a story begin. I keep a gallery I call Provocative, not for the element of seduction in the art, which is rarely present, but the way they spark my mind into action. It isn’t always a painting, I keep a lot of photos in there, as well. Nor is it always a photo with people in it. The absence of a human form does not mean there is no character, or elusive hints as to why there is no person within the plane of the picture. I had the opportunity the other day to go to an art museum with my kids. As I was walking around showing them pieces I had noted before, and explaining bits of history, technique, and style, I realized that this is something I need to do more often. All too much, as a writer, we assume that everyone knows what we mean when we use a term or describe something briefly. I’m not talking about adding tons and layers of description, but of a need to go look. To use your eyes on three-dimensional forms rather than the two dimensions of text. Yes, paintings are 2D, but a good one opens a portal into another world, just a glimpse. As a storyteller, we can turn that glimspe into a moving picture and use it to tell a saga no single piece of art can. And then there is science fictional art. It’s out there. And some of it is utterly brilliant. Go looking for it, and you’ll suddenly have more story ideas than you can handle, I can promise you that. But wait, you say, won’t everyone have the same ideas, looking at these pieces of art? Perhaps. But no two writers will develop the same ideas in the same ways. And as I looked at the above image and saw a far-futuristic archaeologist with her drone minions, my First Reader looked over my shoulder and commented ‘paranormal.’ Why? I asked. Well, he explained, there’s that dreamy quality that says fairyland to it. Sure, there’s technology, but it looks like fantasy to me. There’s another useful idea to use photos for. Developing other races/species for your alien worlds. I’ll never forget the feeling of discovery and elation as I read Dave Freer’s Rats, Bats, and Vats and recognized exactly what his alien race was, in Terran analogue. This was before I knew him personally, or what his training was. But it was unmistakably a sea urchin, and they make a wonderful alien. Chances are there are many bizarre creatures your readers have no idea exist, which can be mined for wonderfully bizarre alien species without defying the laws of physics and biology in their design. It can be a useful shortcut. The caterpillar/larvae thing above illustrates this nicely, I suspect. A more obvious use for a visit to an art museum, of course, is research. 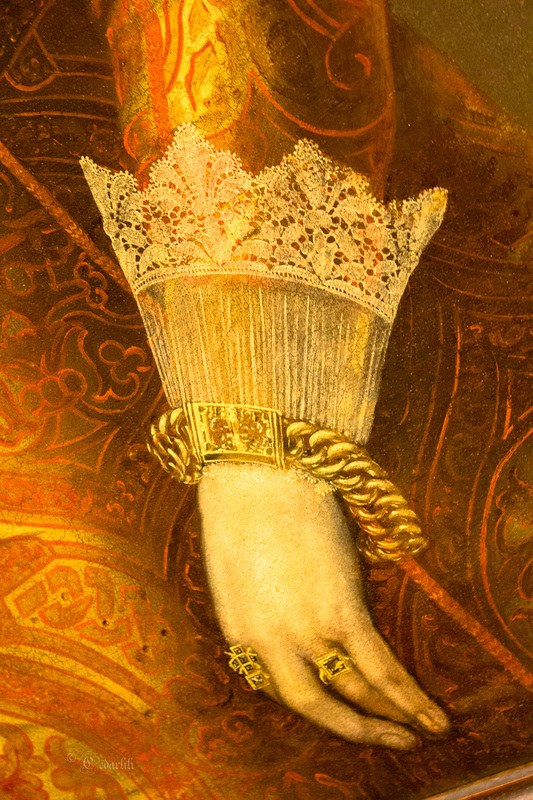 The detail shot I took of what is in reality a 3/4 length portrait of a young woman preparing for marriage gives clear ideas as to the jewelry and clothing authentic to 1638 Germany. Allowing for the portrait being of a younger woman, the wealthy daughter of a war hero, this can give a depth of detail to a story beyond dry words on pages of documents. It will also keep you from falling into the fallacy of assuming that the further you go backward in time, the simpler the art was. Quite the contrary. 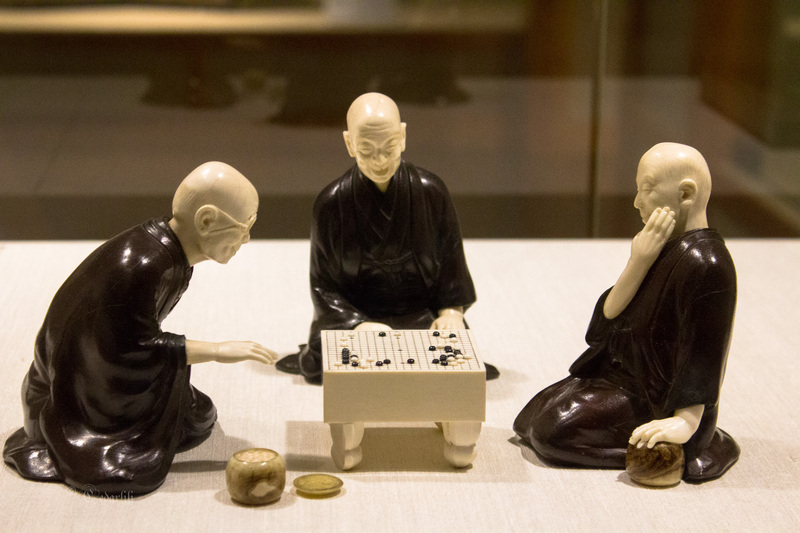 Old Men playing at Go (Japan, 17th century carving). I like the idea of giving a group of writers a picture, and then having them write a story about it. I don’t know how many times that has been done, but the one I remember was a rifle (I think, might have been a stick) stuck in the ground, with a helmet (space helmet, that is) on top. Yes, it would be a fun writing challenge. Maybe I’ll do that sometime – post a picture and challenge people to put flash fiction stories in the comments. It’s called Clash of the Geeks. Very silly. One of Oleg Volk’s portraits became a character in a story. The gent in the photo had such fascinating eyes that I had to write him into one of my worlds. Otherwise I tend not to look at art on the ‘Net, unless I am searching for cover art. I seem to be wired for words far more than for pictures, if that makes sense. EXCEPT for art IRL. Art on the screen doesn’t mean much, but art on a wall is a very different thing. Yes, which is why I’d mentioned the museum. Taking the time to actually visit one is worth it. Gorgeous pictures. I get lost every time I start cruising around Deviant Art. As to the writing block, I find art and writing incompatible. For writing, I can double up with number puzzles and card games, and it can somehow jumpstart characters and worlds. You, on the other hand, appear to be running three lives in parallel–family, profession, college–so I’m not really surprised there’s little room to shoehorn in writing. Relax and don’t push it. I seem to think in pictures rather than in words. 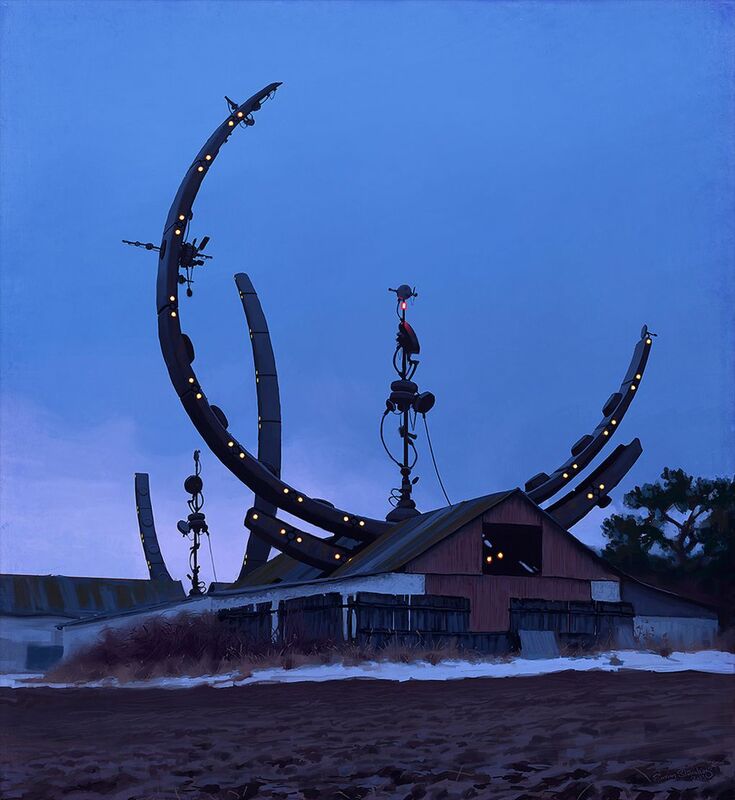 When I’m writing (now that I have the internet) I like to find pictures that either fit or inspire the story and add them to the document. Just looking at them helps me keep going. If I ever publish, those pictures will have to go, of course, since I don’t have the owner’s permission to use them, but it’s nice just to look at them while I work. When it comes to netsuke, Japanese cloth, and other minor Japanese art, the Dayton Art Museum has so much good stuff that they rotate and loan a lot. Colonel Kettring and his daughter Virginia did a lot of collecting, particularly in postwar Japan, and then they gave it to the Art Institute. Ah! That explains a lot. I know I have really enjoyed my trips there. It’s not a big museum but very satisfying.